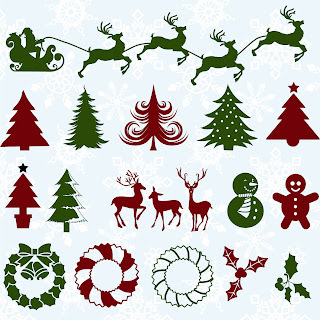 Free 20 SVG Christmas elements. Wow, I love these!! I just found your blog, and I have already bookmarked it, subscribed and emailed a link to some friends! Now I guess I will go back through, and download! Thanks again!! Just signed up yesterday and love love love the free svgs. Thank you so much. Although I have had my cricut and scal for a couple years I have hardly ever used it. I am so excited to start cutting and creating with your designs. Thanks again. As soon as I learn how to use your files I would love to have this one. I think it is great. Thank you! I just got a cameo and will give these a try as I learn. Love you Christmas svgs - thank you!